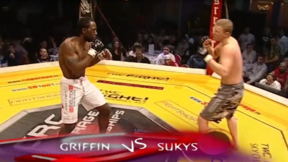 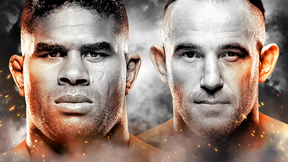 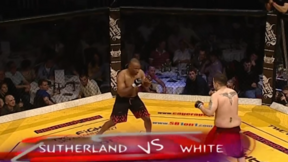 Cage Rage Contenders 9 full event replay from The Troxy in London, United Kingdom on April 12, 2008. Denniston Sutherland vs Ryan White Cage Rage Contenders 9 Sat, Apr 12, 2008 (10:48) Denniston Sutherland vs Ryan White Cage Rage Contenders 9 from The Troxy in London, United Kingdom on April 12, 2008. Mamarizaev Jahongir vs Kym Farid Cage Rage Contenders 9 Sat, Apr 12, 2008 (3:58) Mamarizaev Jahongir vs Kym Farid Cage Rage Contenders 9 from The Troxy in London, United Kingdom on April 12, 2008. 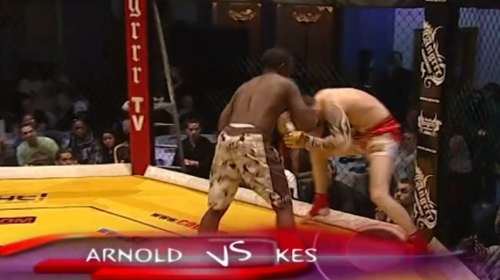 Marvin Arnold Bleau vs Kes Kpokogri Cage Rage Contenders 9 Sat, Apr 12, 2008 (18:32) Marvin Arnold Bleau vs Kes Kpokogri Cage Rage Contenders 9 from The Troxy in London, United Kingdom on April 12, 2008. 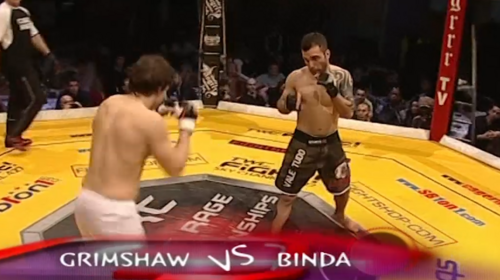 Ashleigh Grimshaw vs Christian Binda Cage Rage Contenders 9 Sat, Apr 12, 2008 (7:05) Ashleigh Grimshaw vs Christian Binda Cage Rage Contenders 9 from The Troxy in London, United Kingdom on April 12, 2008. 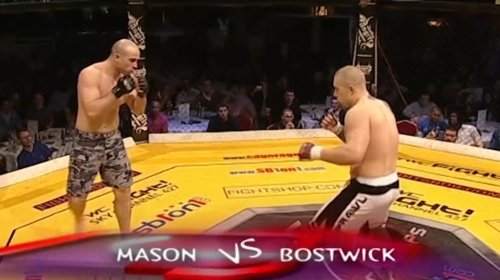 Jack Mason vs Jake Bostwick Cage Rage Contenders 9 Sat, Apr 12, 2008 (5:46) Jack Mason vs Jake Bostwick Cage Rage Contenders 9 from The Troxy in London, United Kingdom on April 12, 2008. 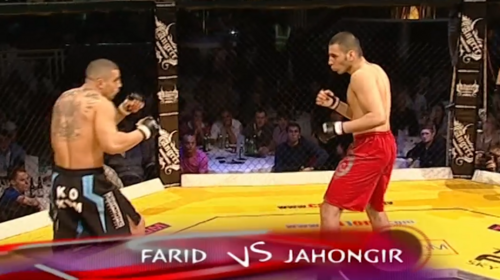 Suley Mahmoud vs Jordan James Cage Rage Contenders 9 Sat, Apr 12, 2008 (19:06) Suley Mahmoud vs Jordan James Cage Rage Contenders 9 from The Troxy in London, United Kingdom on April 12, 2008. 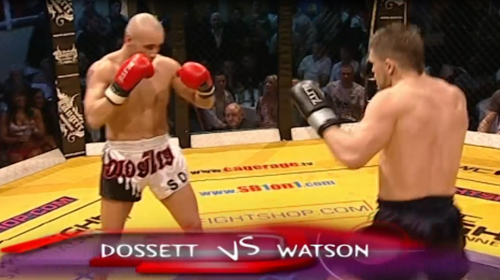 Tom Watson vs Steven Dossett Cage Rage Contenders 9 Sat, Apr 12, 2008 (9:38) Tom Watson vs Steven Dossett Cage Rage Contenders 9 from The Troxy in London, United Kingdom on April 12, 2008. 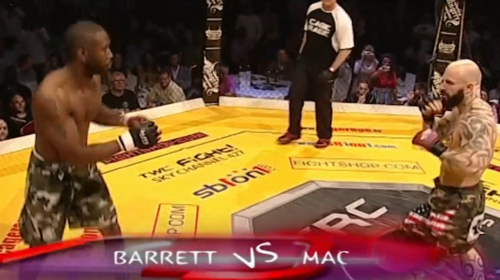 Joe Mac vs Jason Barrett Cage Rage Contenders 9 Sat, Apr 12, 2008 (7:59) Joe Mac vs Jason Barrett Cage Rage Contenders 9 from The Troxy in London, United Kingdom on April 12, 2008. 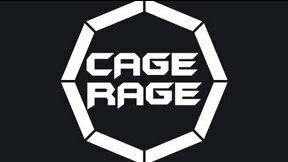 Chris Gregg vs Kieran Hanbly Cage Rage Contenders 9 Sat, Apr 12, 2008 (12:09) Chris Gregg vs Kieran Hanbly Cage Rage Contenders 9 from The Troxy in London, United Kingdom on April 12, 2008. 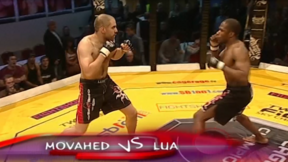 Edgelson Lua vs Dan Movahedi Cage Rage Contenders 9 Sat, Apr 12, 2008 (3:02) Edgelson Lua vs Dan Movahedi Cage Rage Contenders 9 from The Troxy in London, United Kingdom on April 12, 2008. Umidjon Mavlyanov vs Azran Quasid Cage Rage Contenders 9 Sat, Apr 12, 2008 (4:17) Umidjon Mavlyanov vs Azran Quasid Cage Rage Contenders 9 from The Troxy in London, United Kingdom on April 12, 2008. 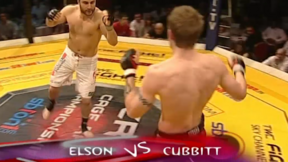 Lee Wieczorek vs Steven Elliott Cage Rage Contenders 9 Sat, Apr 12, 2008 (18:45) Lee Wieczorek vs Steven Elliott Cage Rage Contenders 9 from The Troxy in London, United Kingdom on April 12, 2008.